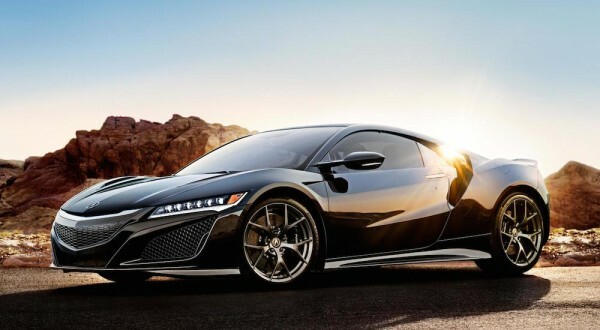 Acura revealed the official pricing sales plan for the new NSX super car, hitting the streets all across America next spring. According to this information, the 2017 Acura NSX starts at $156,000 for the base model, and tops out at $205,700 for a fully loaded version with all the options fitted. You get a lot of car with a basic 2017 Acura NSX, but the extra 50 grand for a model equipped with al the bells and whistles will get you some juicy features one may find hard to walk away from. For one thing, it allows you to customize your NSX with several exterior and interior features including three wheel designs with painted or polished finish, carbon-ceramic brake options, a carbon fiber interior sport package, carbon fiber roof, and more. The company is now taking orders for the 2017 Acura NSX, but you don’t need to rush to get the first production unit. The very first serial production NSX, VIN 001, is already slated for the auction block, where it will be sold at the Barrett-Jackson collector car auction in Scottsdale, Arizona, for the benefit of two children’s charities: the Pediatric Brain Tumor Foundation and Camp Southern Ground. It’s a great way to kick things off. The post 2017 Acura NSX Pricing Announced appeared first on Motorward.